Have you ever walked into a workspace where everyone has a face like thunder, and you can’t imagine laughter ever having been heard inside those four walls? Who wants to block out 40 or more hours per week where laughter isn’t allowed? Who would ever want to work there? And why wouldn’t any healthy, hard-working person stuck there to jump ship at the first opportunity? Humor has a place in every work environment, including those that regularly deal with the most serious situations, like criminal law and critical care in hospitals. Spending 40 or more hours per week in an environment where laughter is tacitly forbidden is a terrible prospect indeed. The idea that you can’t laugh and still claim to take your work seriously is a false dichotomy. In reality, when gravity and levity are in healthy balance, both become more powerful. The concepts of mindfulness and being in the moment have gained status in the modern workplace, as leaders strive to build positive, productive company culture. And few things in life are as “in the moment” as humor. You can think of humor as a sort of mini-vacation from the normal stresses of work. In fact, one study found that people who watched a funny video before completing a tedious task demonstrated increased persistence in performing the task. Humor can actually raise productivity, in other words. Many leaders are not aware of just how “contagious” their disposition is. A leader who never laughs, or who otherwise demonstrates that humor is unacceptable can hardly expect a team that is unfailingly motivated. Humor that is appropriate to the situation not only relieves stress, but can counteract boredom, increase engagement, and improve creativity and collaboration. It’s also a sign of healthy emotional intelligence. One study found that watching a funny video before tackling a tedious task improved persistence. Shared humor within a group increases cohesiveness, and there’s a physiological basis for it. Humor decreases levels of stress hormones like epinephrine while activating the brain’s dopamine-dispensing “reward” system. And laughter in stressful times (like after losing a big client) can actually help teams better envision and work toward their goals together. For those in positions of leadership, appropriate humor never “punches downward.” In a work environment, the target of the humor should typically be one’s self or a common “enemy” (like the bad weather, or an aging software system). It should always come from a place of authenticity and honesty. 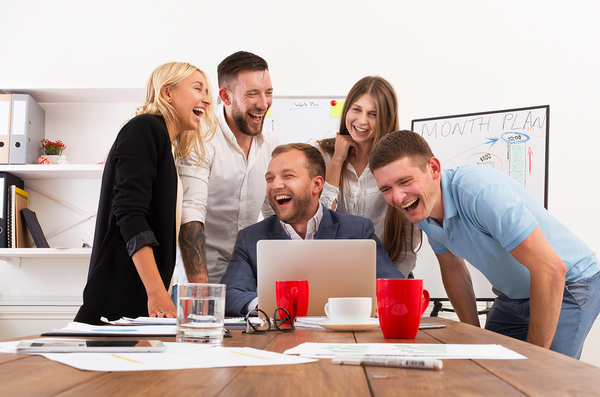 At work, good humor often has an element of “conspiracy,” as in, “We’re all in this together.” Laughing at oneself (particularly if you’re in a leadership position) is a way of signaling to everyone that everything is going to be OK.
And be assured that laughter in the workplace is good for business. One survey found that 84% of people believe that people with a strong sense of humor do a better job. Another survey, by the Bell Leadership Institute, found that when asked to describe leadership strengths in their organization, “work ethic” and “sense of humor” were mentioned twice as often as any other phrases. The key is to laugh with your team members, and never at them. Leadership coaching often focuses on improving communication skills and learning where, when, and how to use humor appropriately is indicative of strong communication. 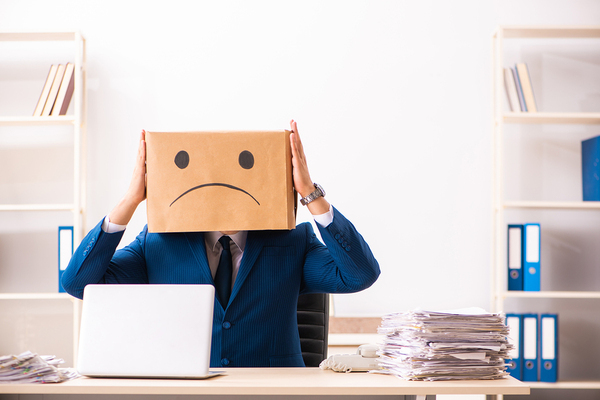 Leadership coaches can’t teach leaders how to be funny, but they can help leaders learn that it’s OK – or even highly beneficial – to loosen up sometimes. Using humor appropriately is a hallmark of good emotional intelligence, and understanding and developing emotional intelligence is often part of the leadership coaching process. Working hard and getting results does not require leaving your sense of humor at the door. In fact, study after study indicates that a workplace where levity has a place alongside seriousness is a healthy, productive workplace. Humor is in no way the enemy of business but has a place in the healthy, productive, and successful execution of business. I want to invite you to check out my books, particularly Cultural Transformations: Lessons of Leadership and Corporate Reinvention, which is a roadmap for creating a sustainable, positive corporate culture in today’s rapidly evolving business world.